The Escher Machine | Speakers' Corner, Sydney. Machine (made possible?) 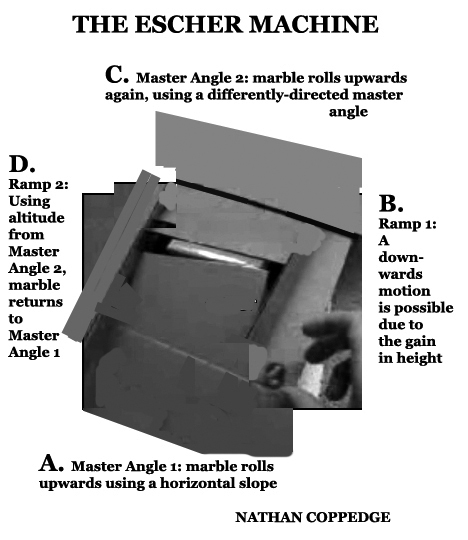 by a July 3rd, 2014 experiment in which an object reporetedly rolled upwards using a horizontally-skewed sideboard and upward angled supporting surface.